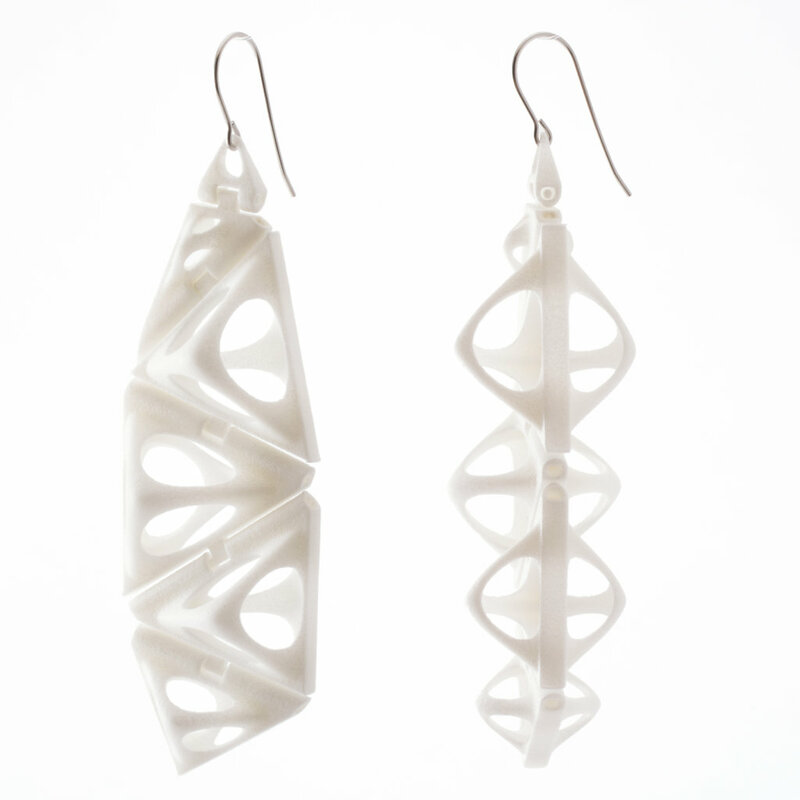 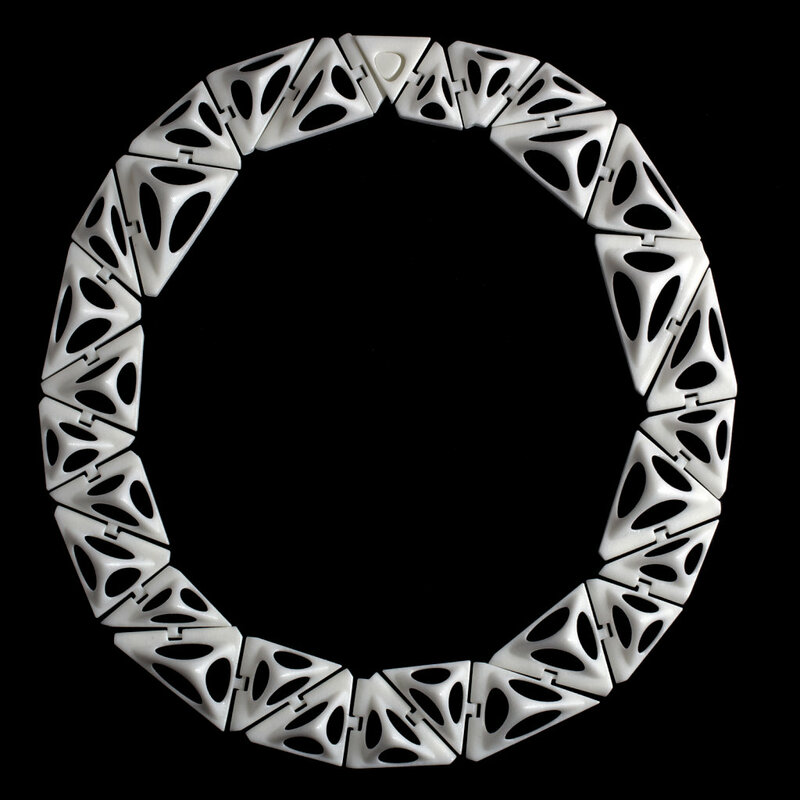 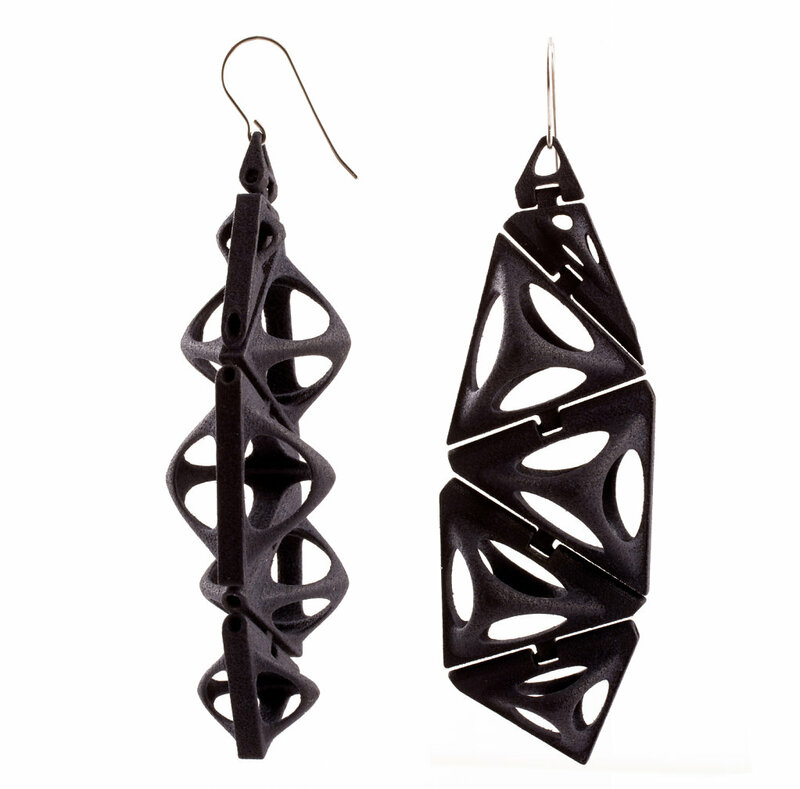 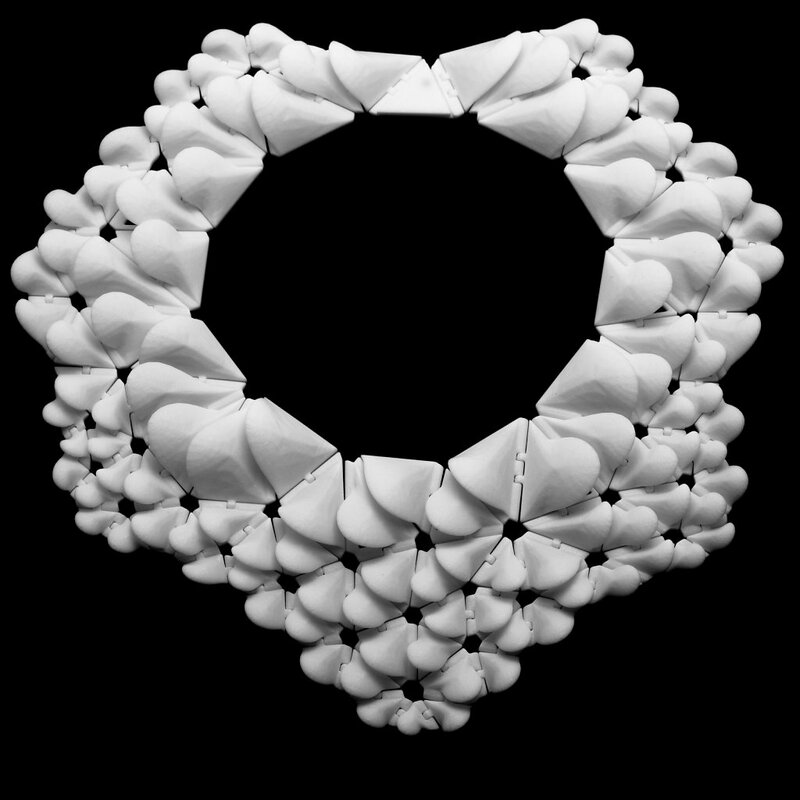 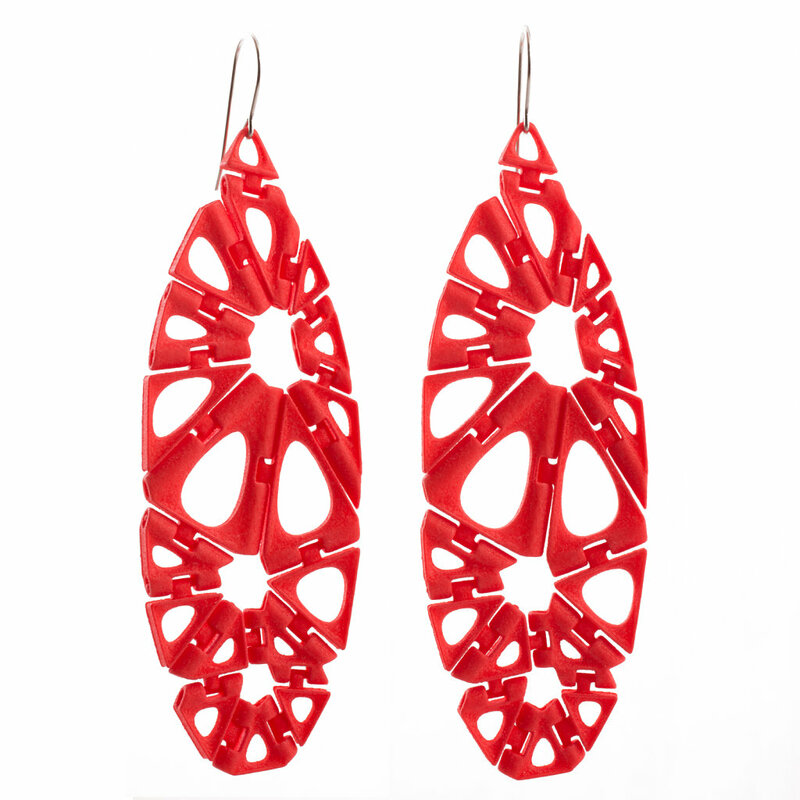 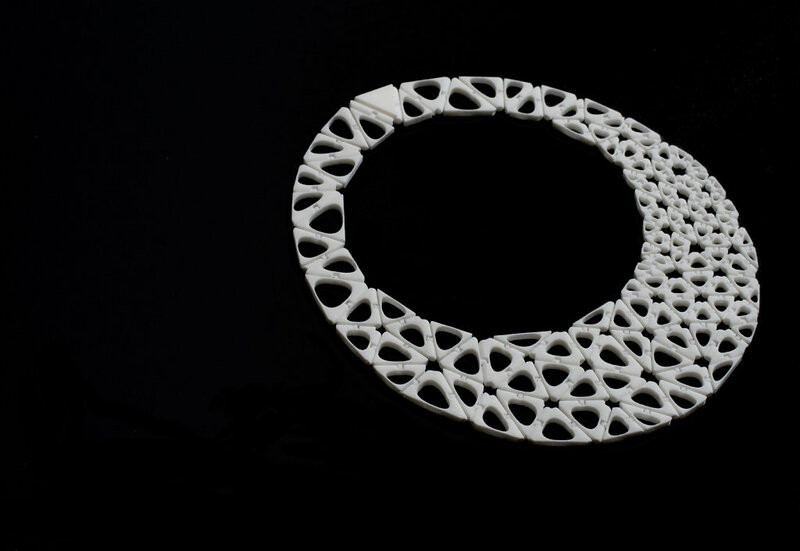 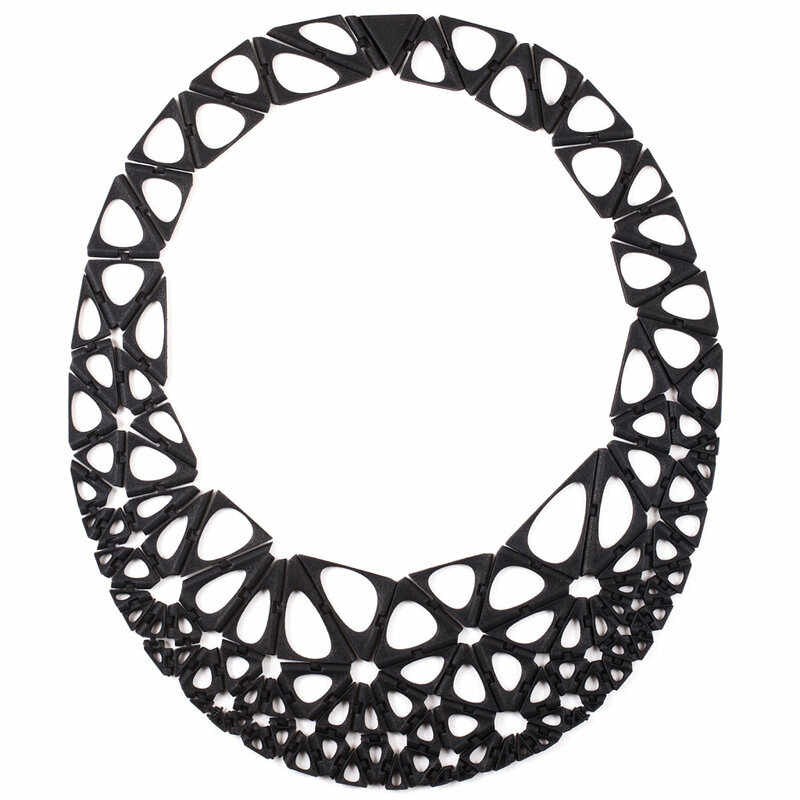 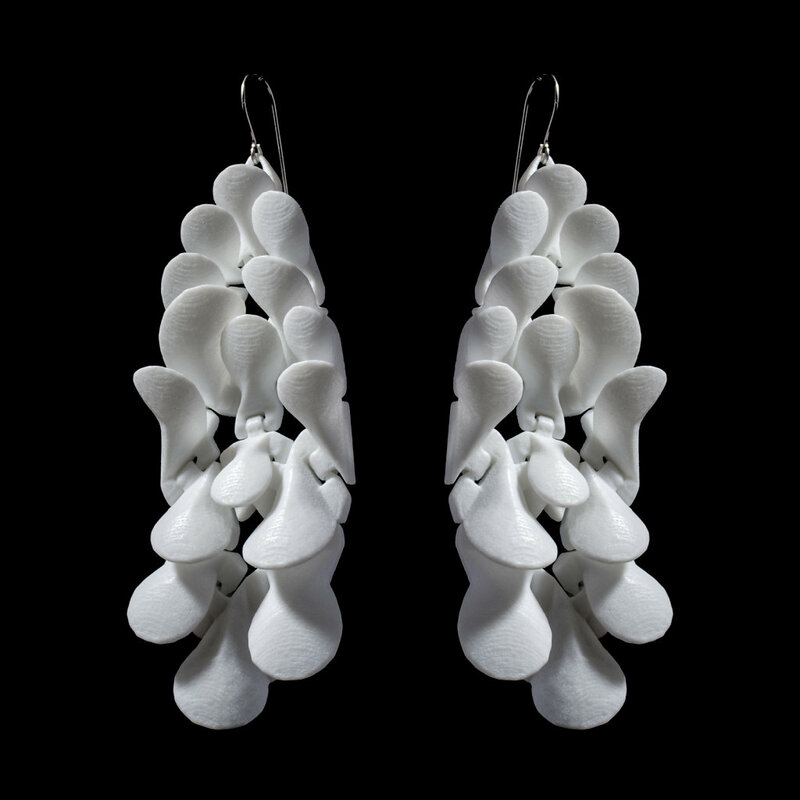 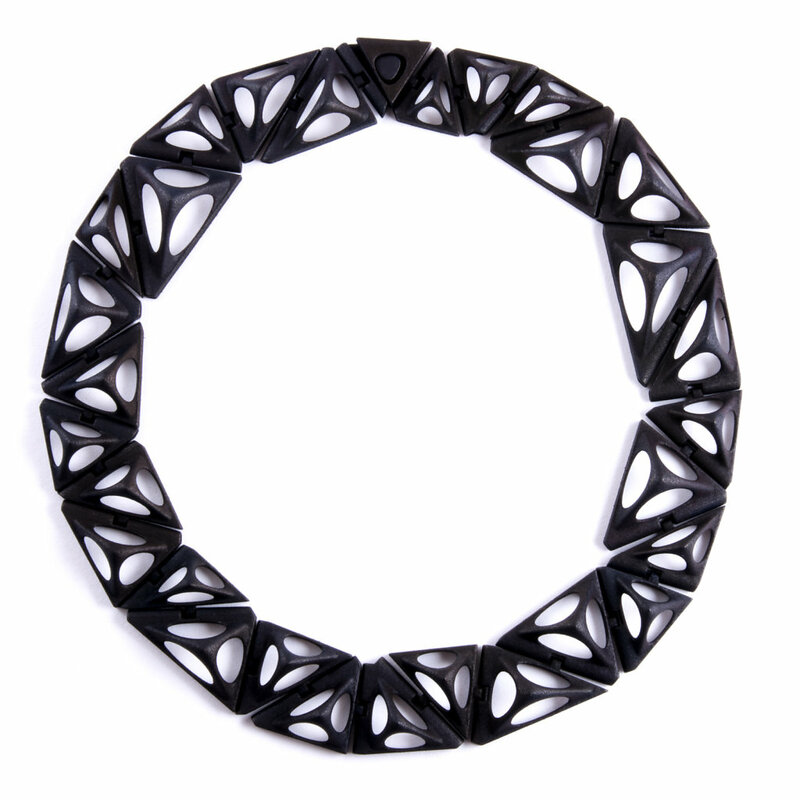 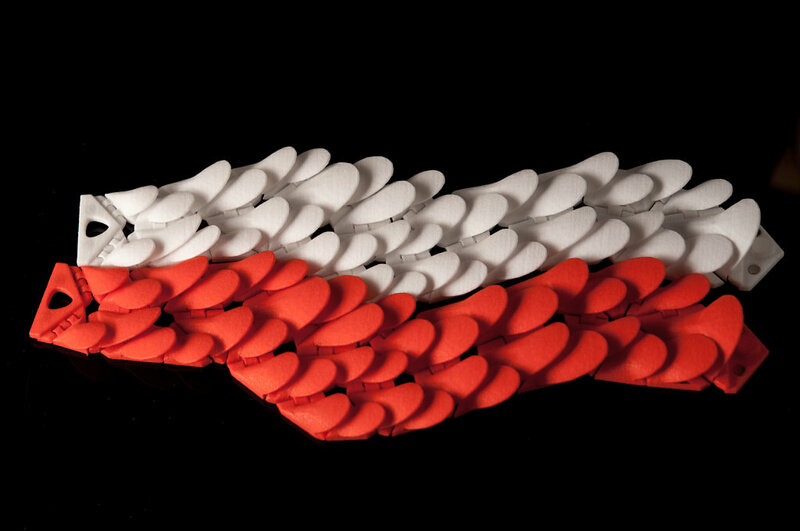 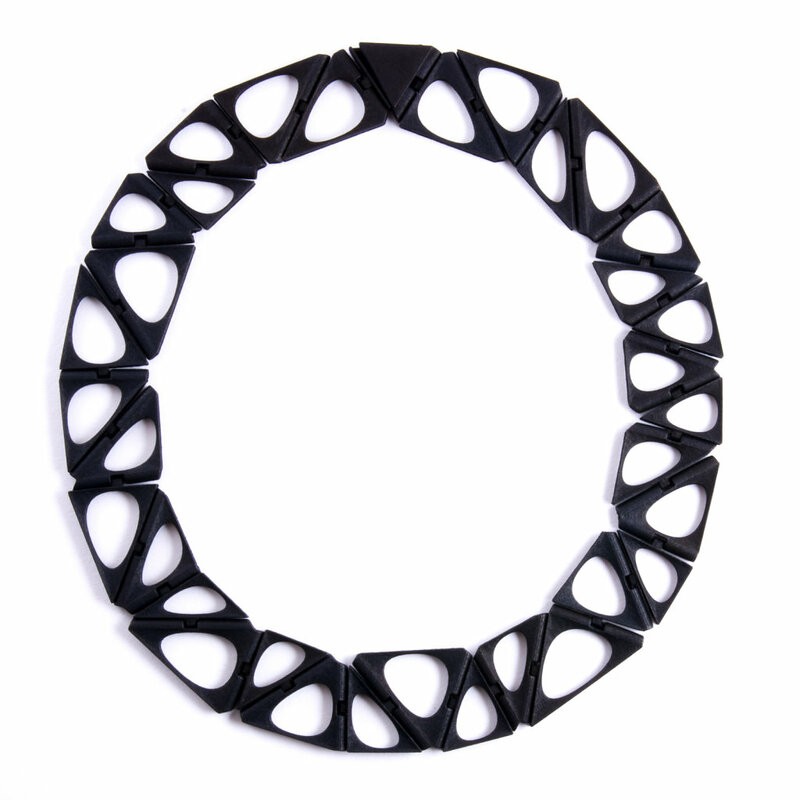 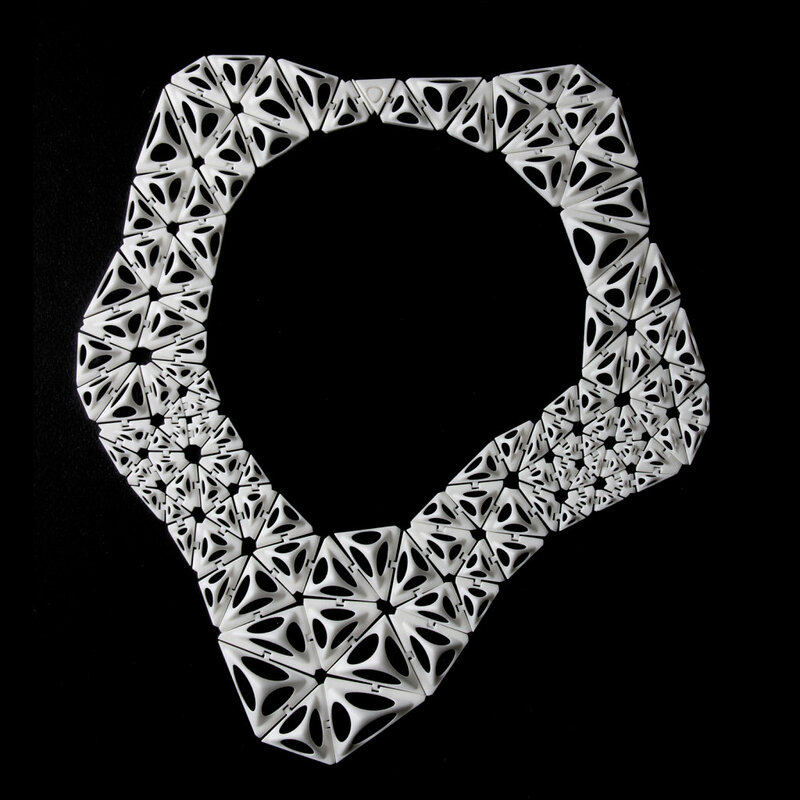 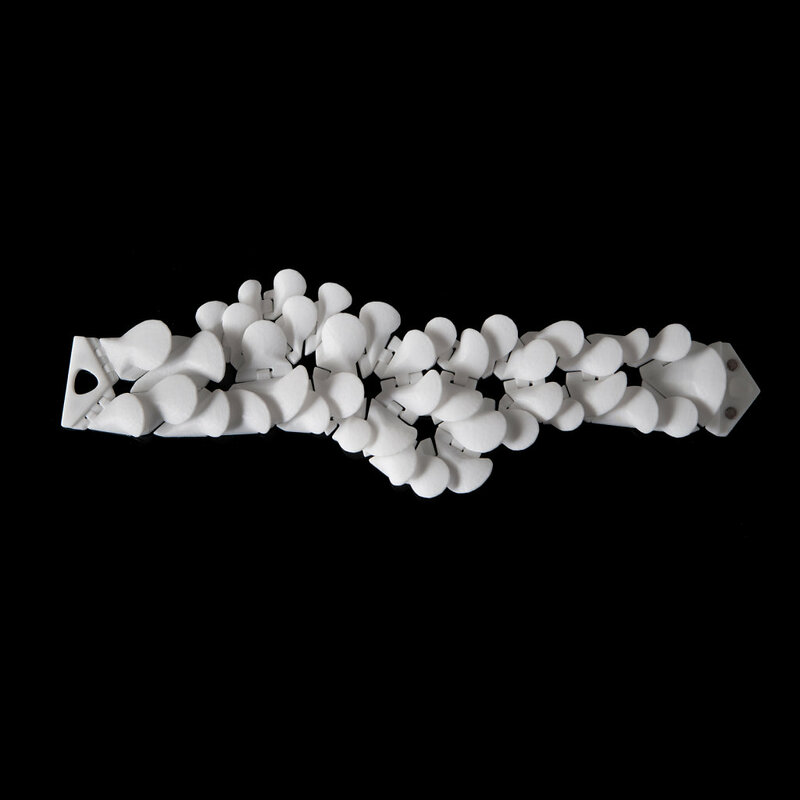 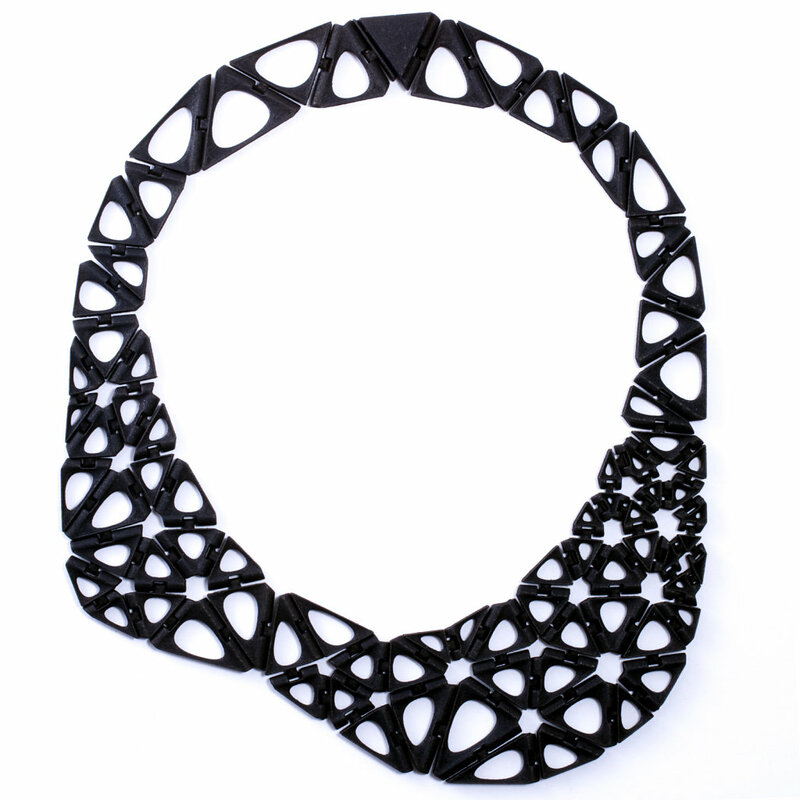 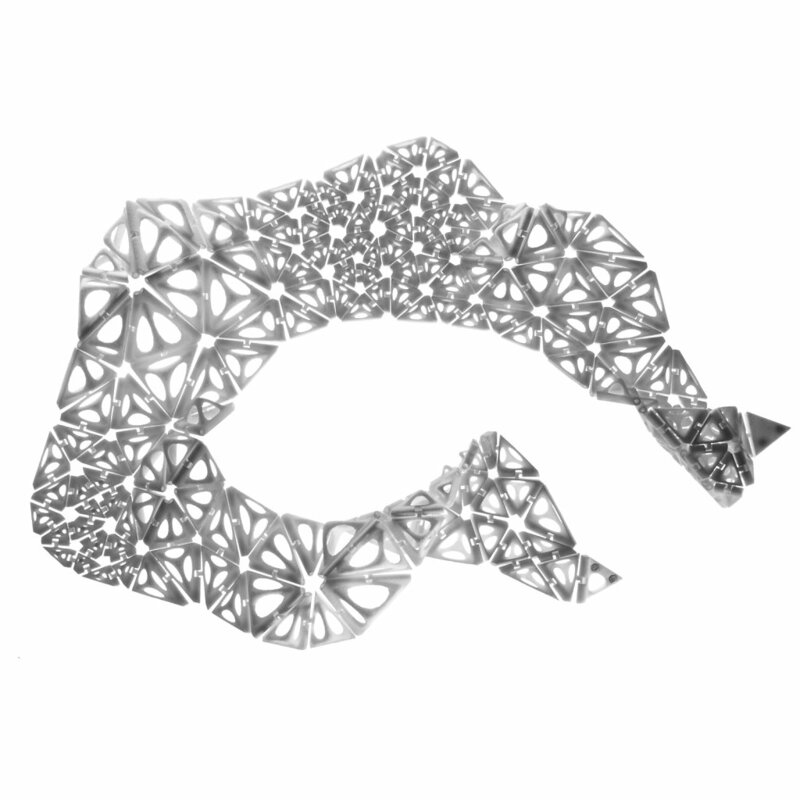 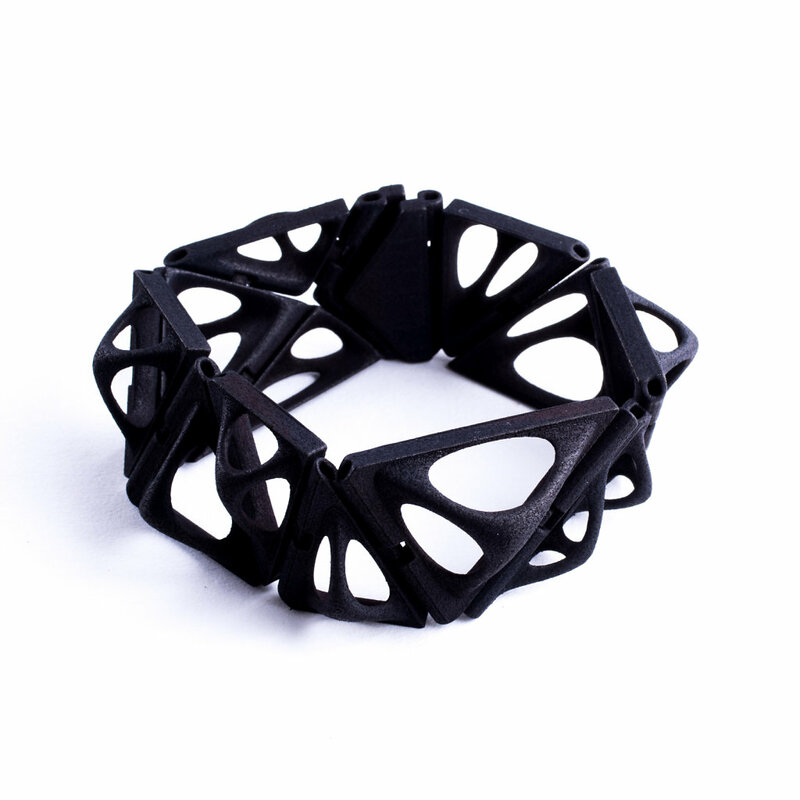 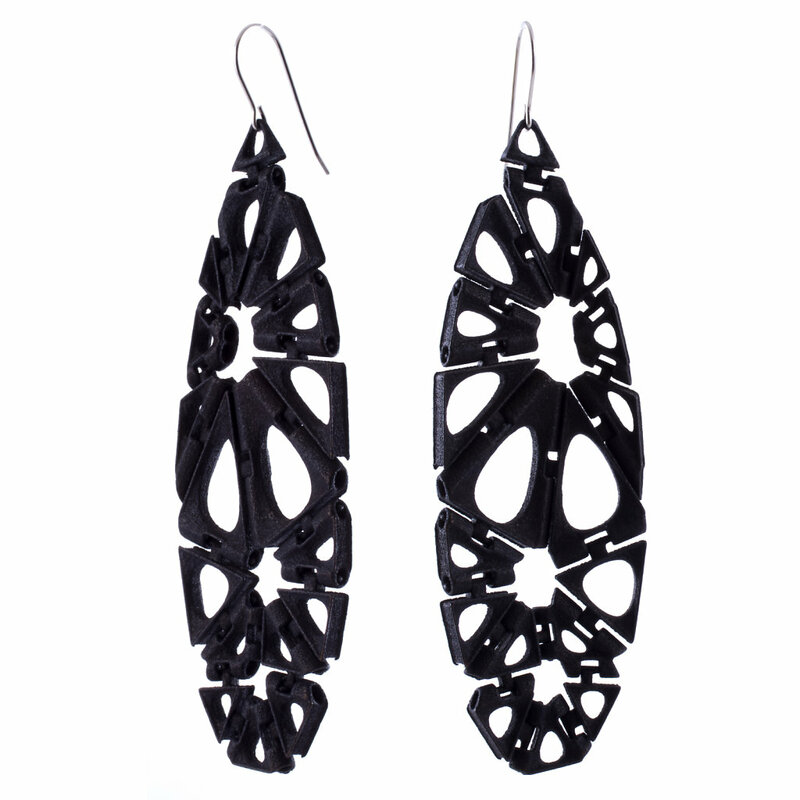 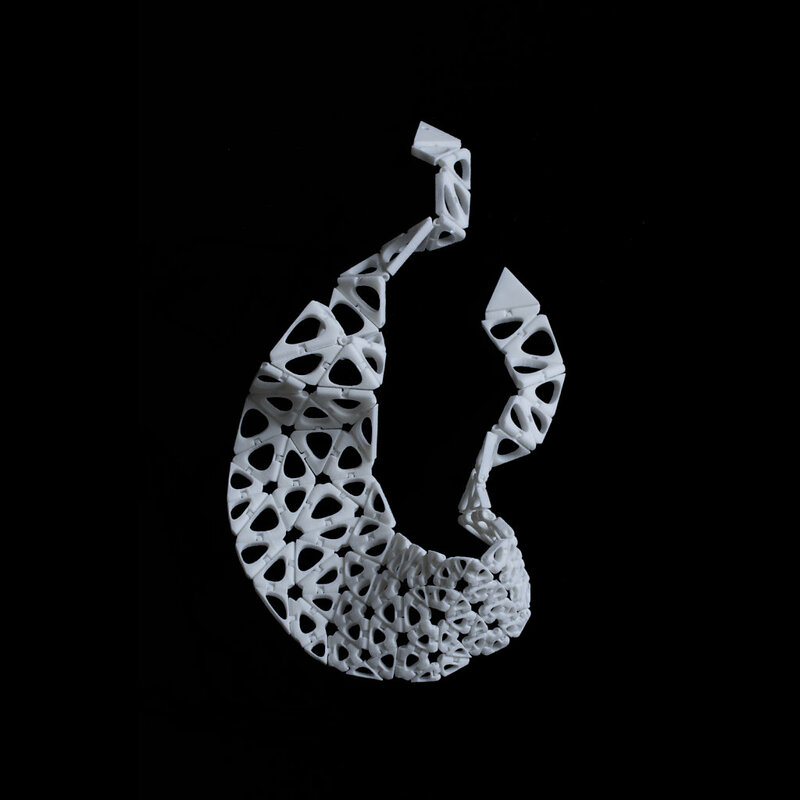 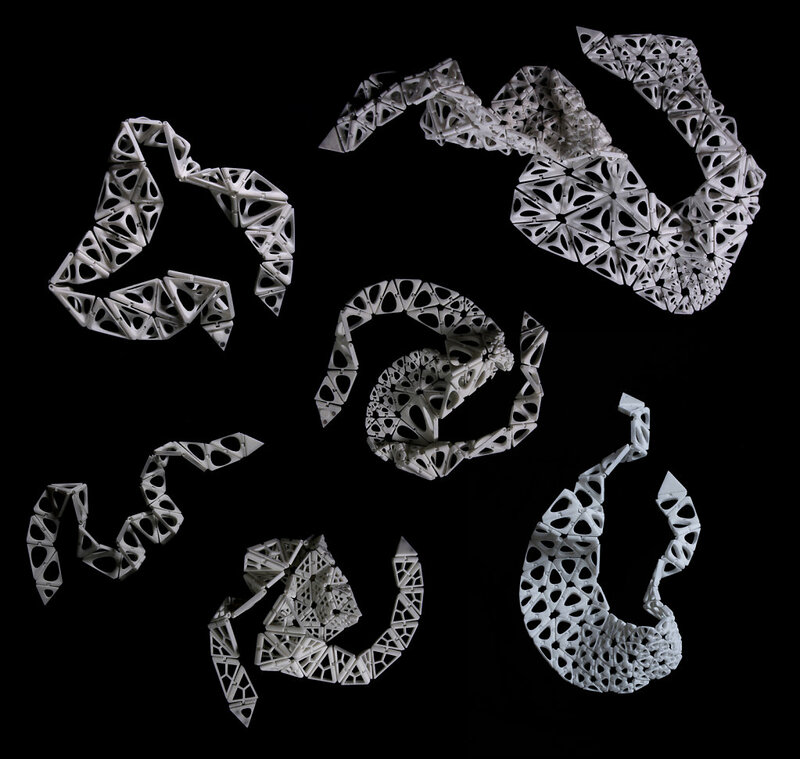 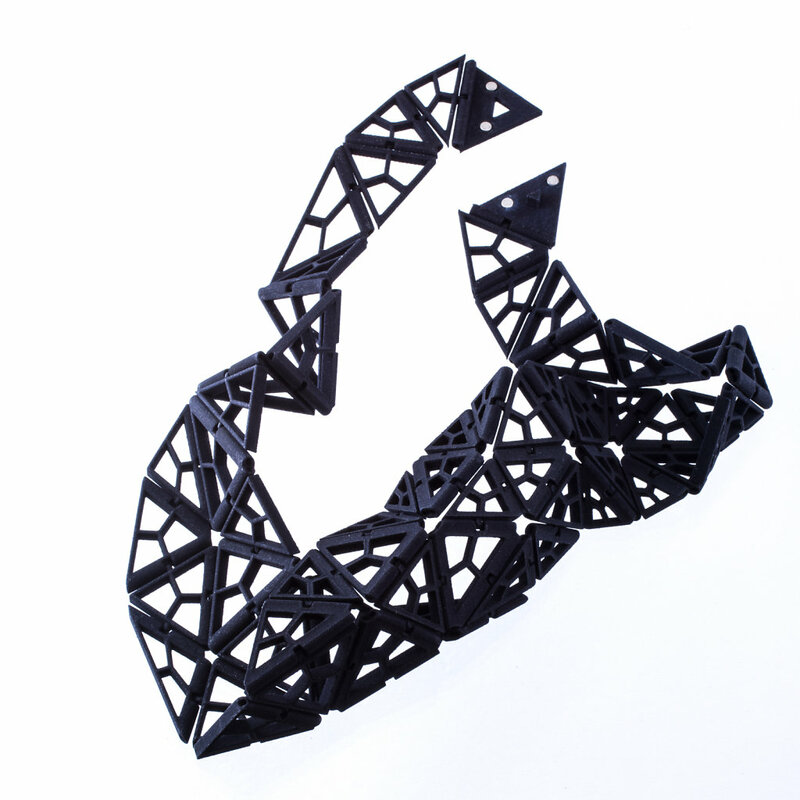 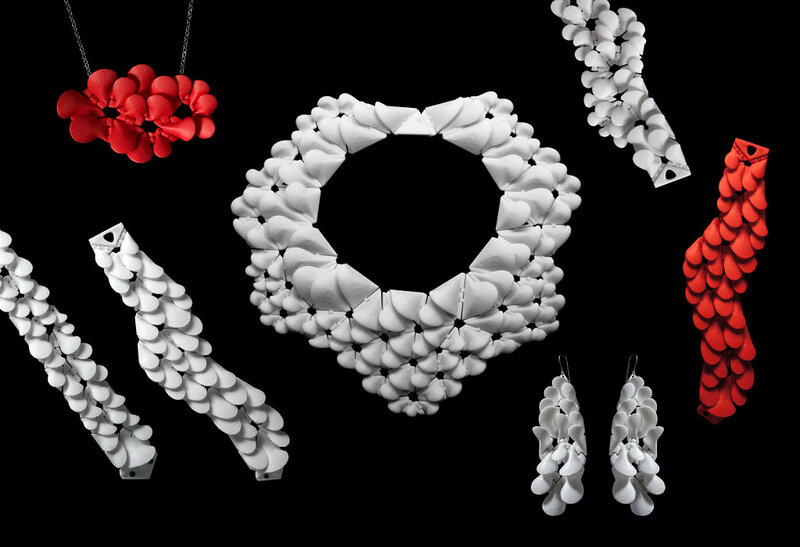 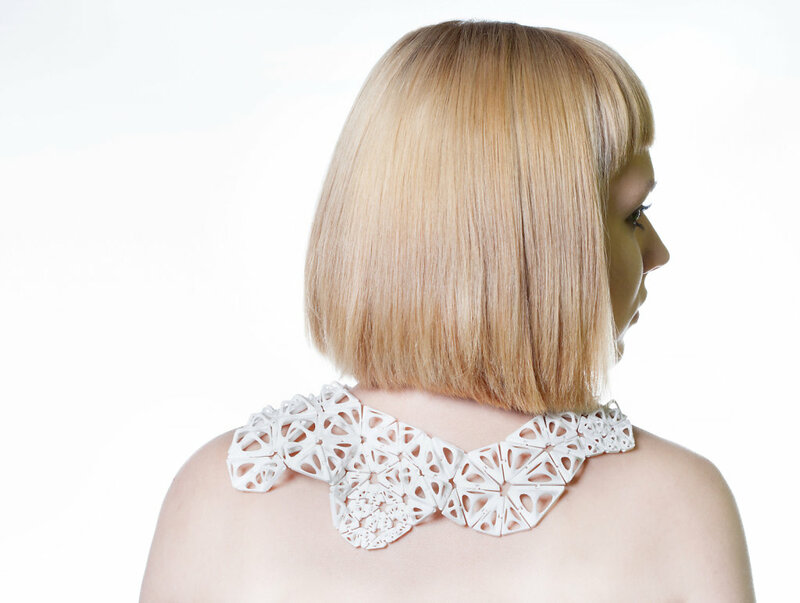 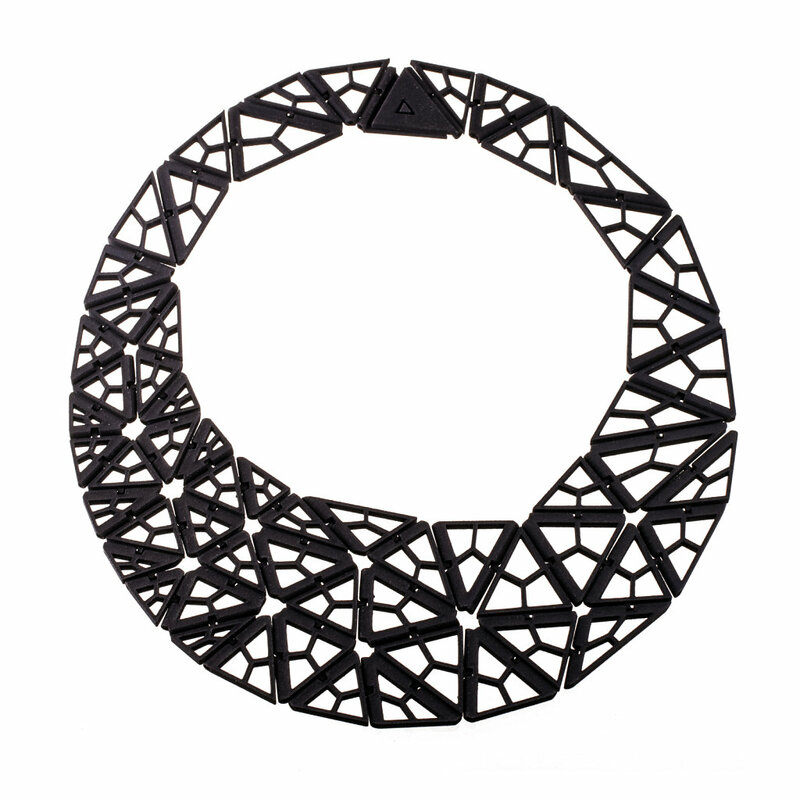 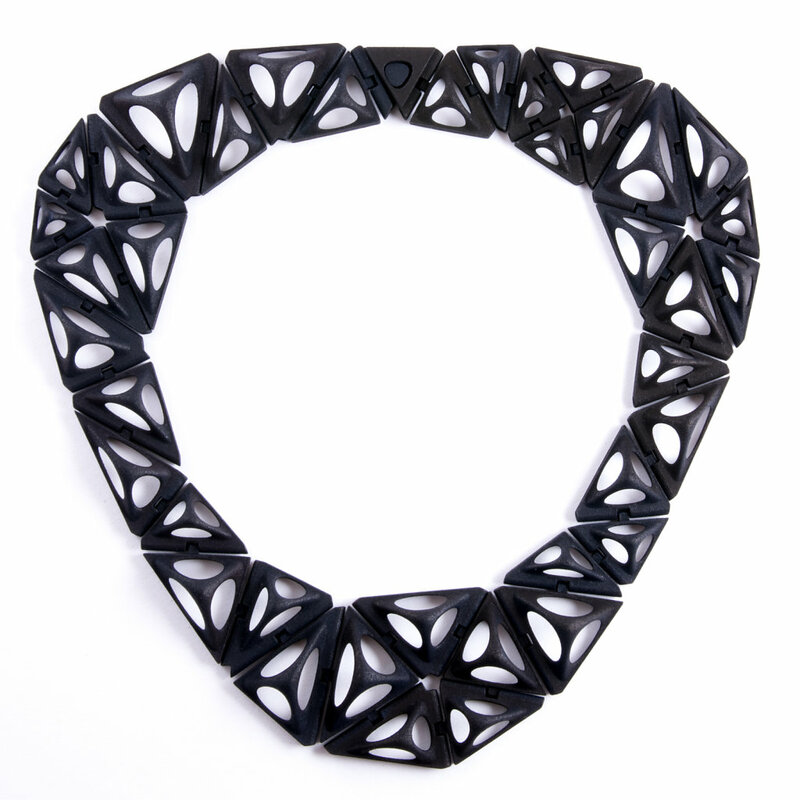 Each Kinematics jewelry design is a complex assemblage of hinged, triangular parts that behave as a continuous fabric, conforming to the wearer's body. 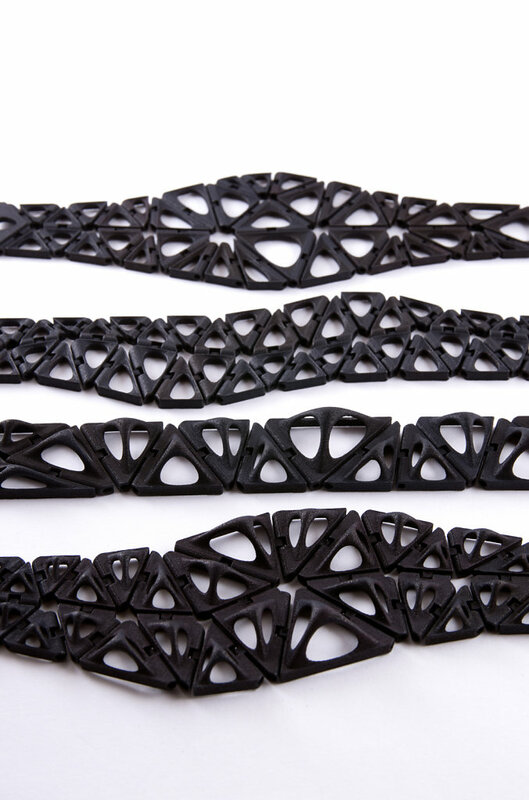 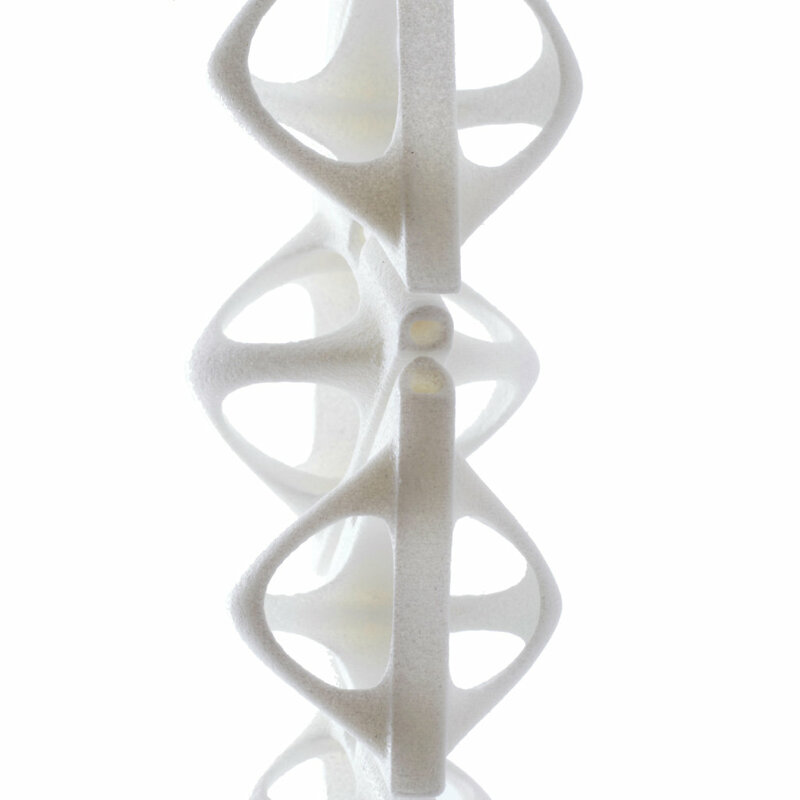 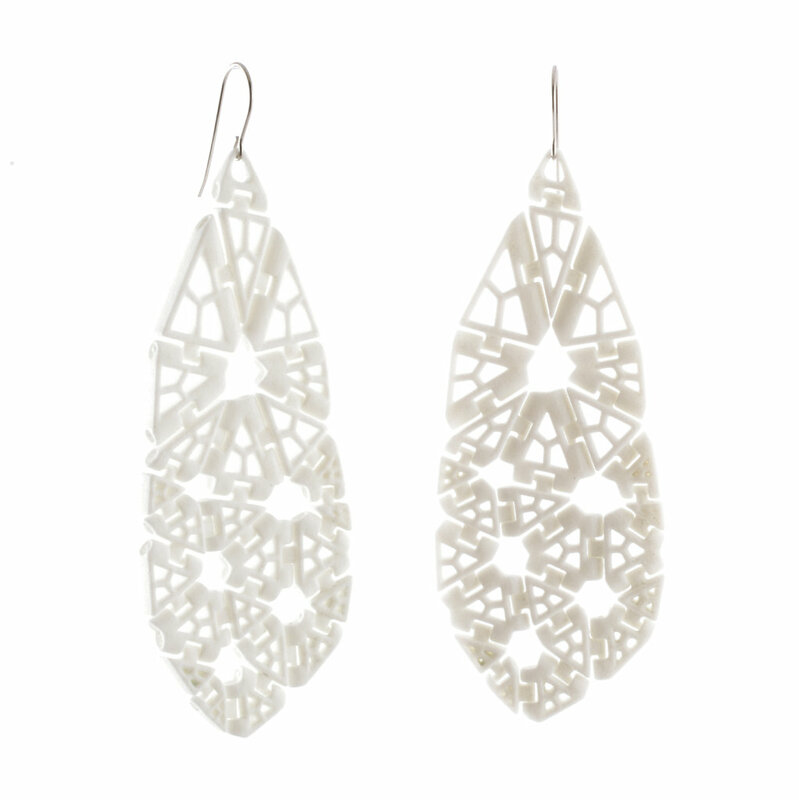 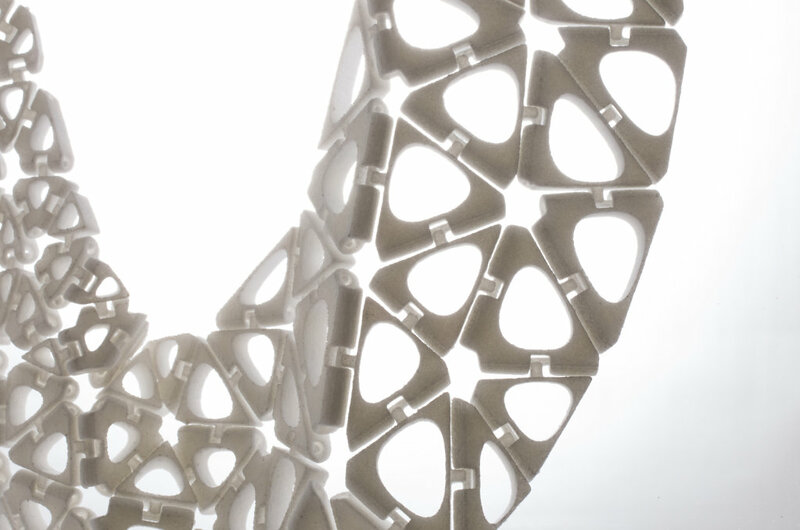 The pieces are built up layer-by-layer in strong but slightly flexible nylon plastic using selective laser sintering, a kind of 3D printing. 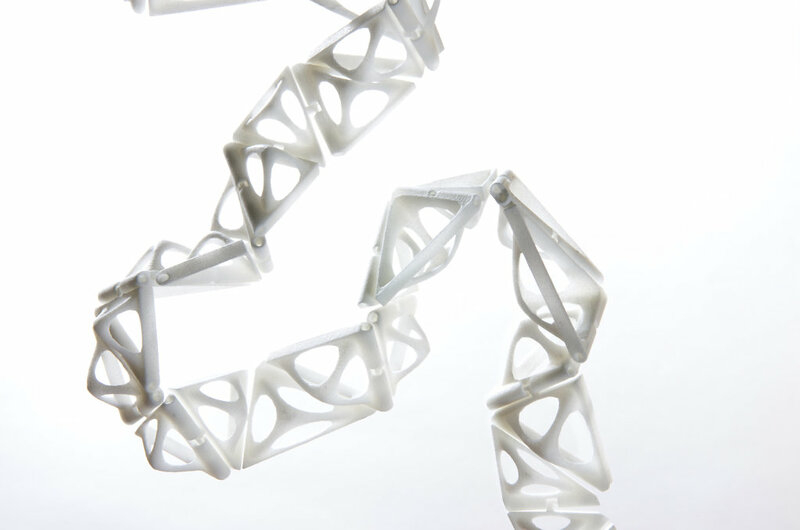 The hinges are built in during the printing process so each design comes out of the printer fully assembled. 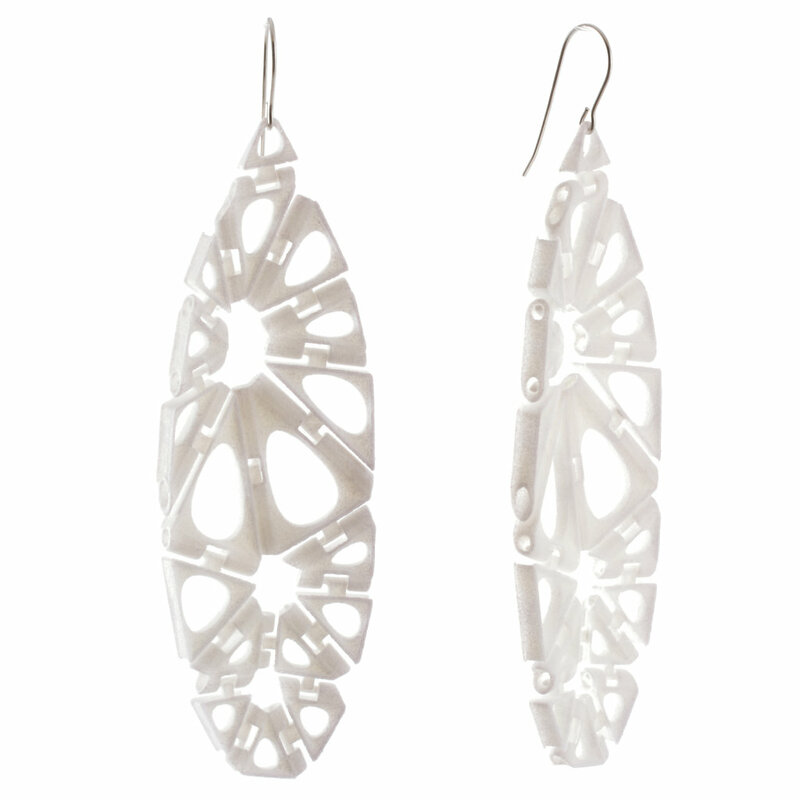 The pieces are polished until smooth, but they retain a delicate texture from the printing process. 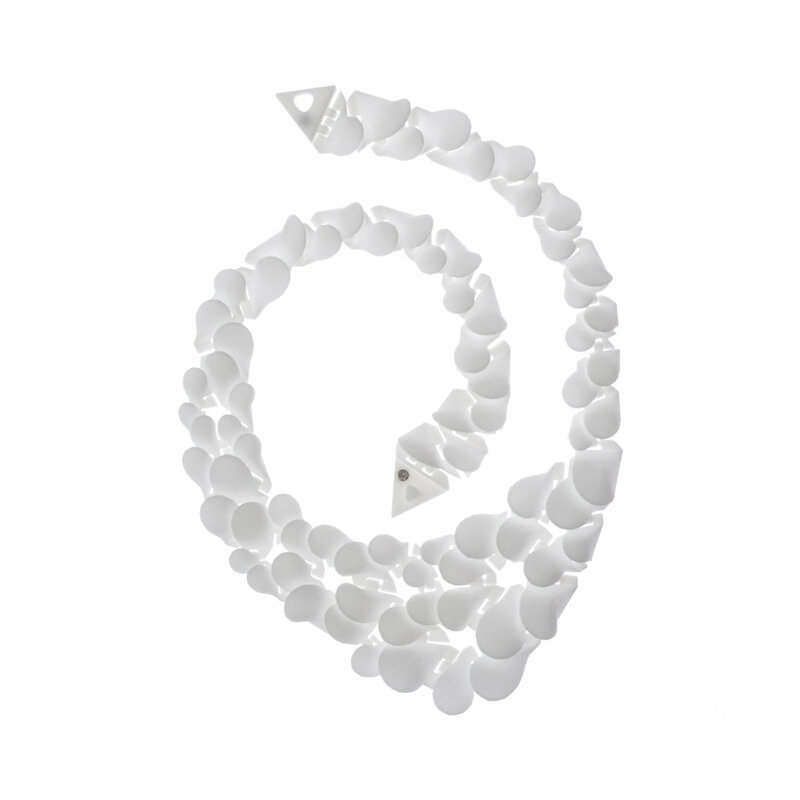 The necklaces and bracelets are fastened simply and securely with a hidden magnetic clasps.